Why This Style/Trend Appeals to Me: When I started going to concerts again in mid-2015 after taking a hiatus due to illness, I immediately start craving fun and sensible flats. At this point in my life, I was more or less a high heels and flip flops girls only. Flats often drive my feet more crazy, which always weirds people out. I'm not sure what it exactly is, but the construction of many ballet flats scrape my heels more than high heels do, so often heels are a more practical choice in my world. That said, I hate standing regardless of footwear and the pressure one puts on their feet while standing through a whole concert in heels is unpleasant so I had to wear non-heels. I found myself basically wishing sparkly sneakers were more of a thing, because sneakers are almost never not comfortable! Well, ask and ye shall receive! Right about this time athletic leisure and fashionable sporty fashion in general was starting to take off. Though I'm not much of a trendy girl, I do find it weird that I didn't initially jump immediately on board. I think I doubted I actually would use bedazzled and fun colored sneakers a ton, and boy was I crazy for thinking that! I don't know, maybe I blame it on being more of a hybrid between Scary and Posh Spice instead of Sporty Spice for the disconnect? ANYWAY, once it finally did click I fell for this trend hard and hopes it never ends because it's fun, comfortable, and can be very feminine all at once. 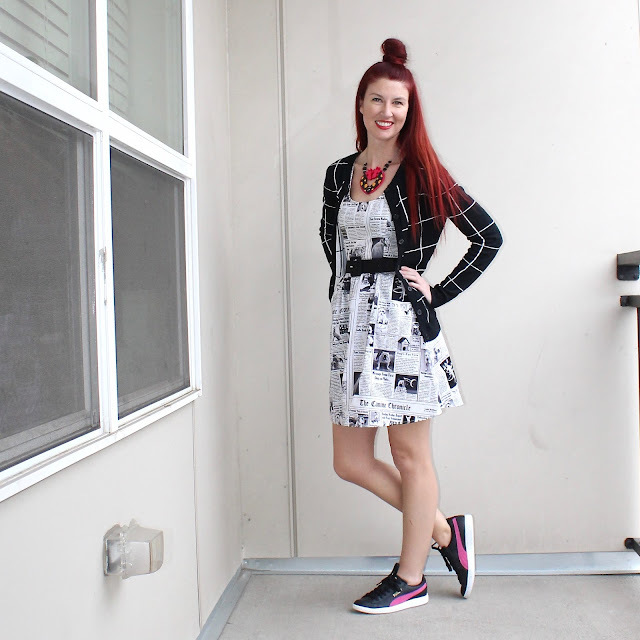 Below are some fun looks I've worn over the past few weeks exhibiting fun sneakers with the type of dresses I wear frequently. Because this blog is named, Grace Rock Kelly Roll, I actually feel true to my "brand." The sneakers give an edge to a lot of these vintage inspired dresses, which has been a fun experiment to play around with lately! 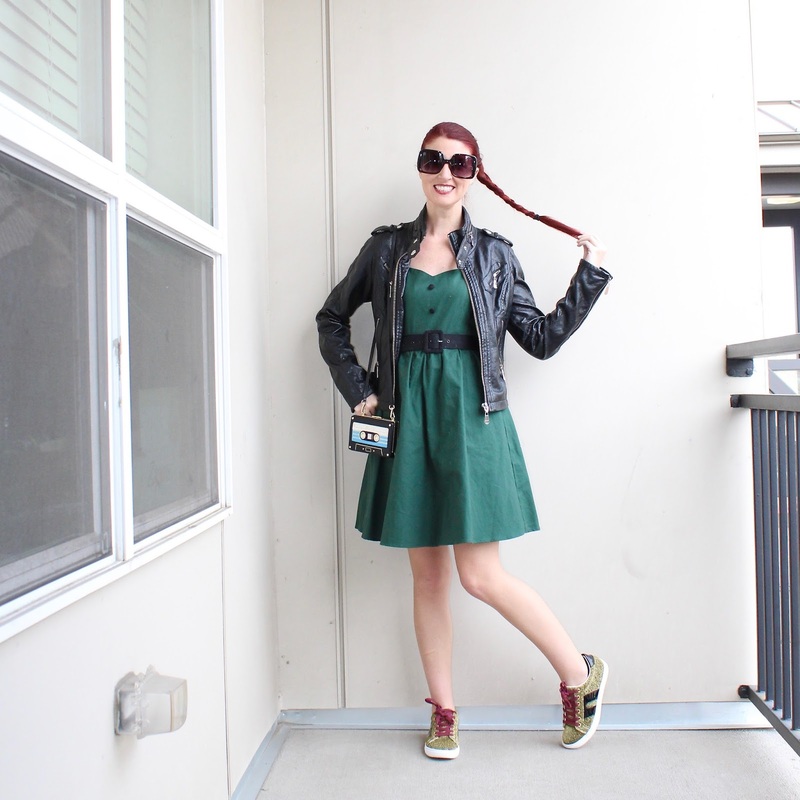 This dress was last seen on the blog when I posted photos from my hosting duties of ModCloth IRL. I frequently wear this dress, but it was last seen on the blog in THIS POST. This Emily and Fin dress is making it's blog debut, but I've recently discussed the brand HERE and HERE. What about you guys? What trends or style evolutions have you made since cementing your concrete style? Have a great Saturday and rest of your weekend! 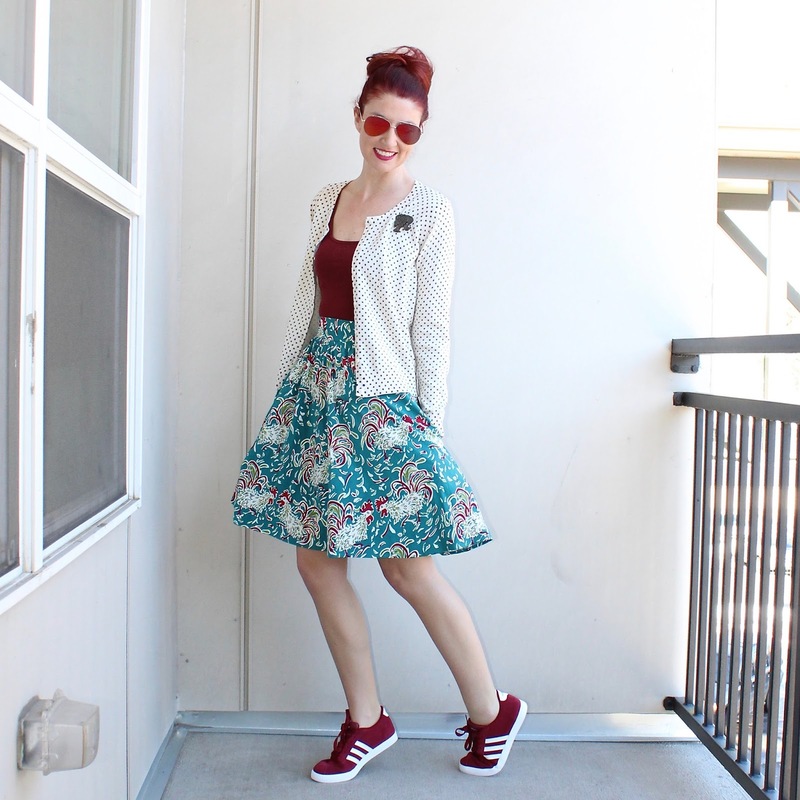 I agree with you, sneakers can be so feminine, like you have just shown now! I loved the first picture, with burgundy Adidas, and actually I loved all the pictures and styles! 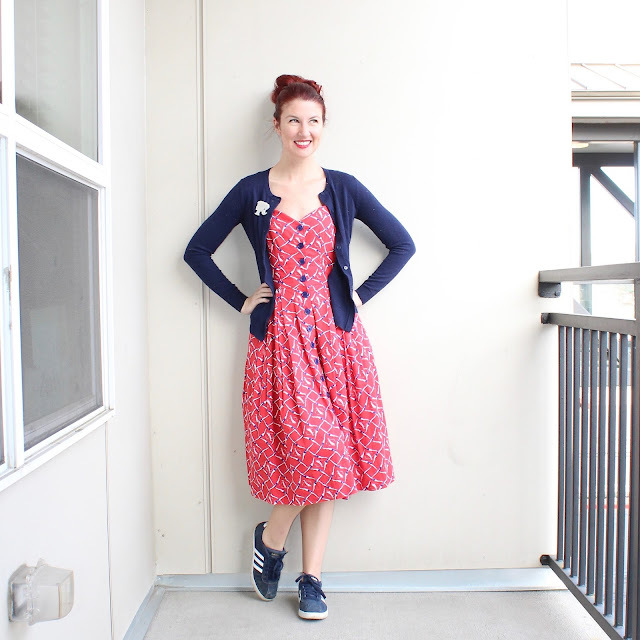 I will try to wear some sneakers, since I am now constantly wearing flats, apart from Sundays when I go out in heels. It's so nice how we evolve, true. Till 2013 I only wore high heels, really always. Then I gave flats a chance and wow, now I am a big big fan! Hope you have a nice week!